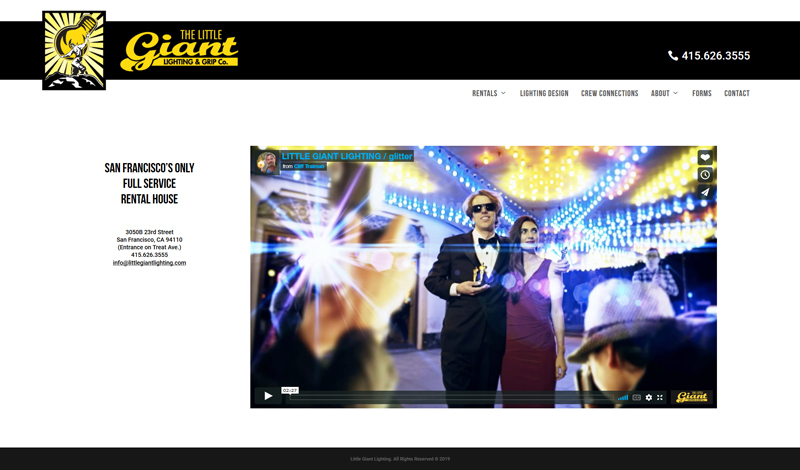 Client: Little Giant Lighting & Grip Co.
A full refresh of this website resulted in a lighter but impactful appearance, and faster/better/stronger functionality. 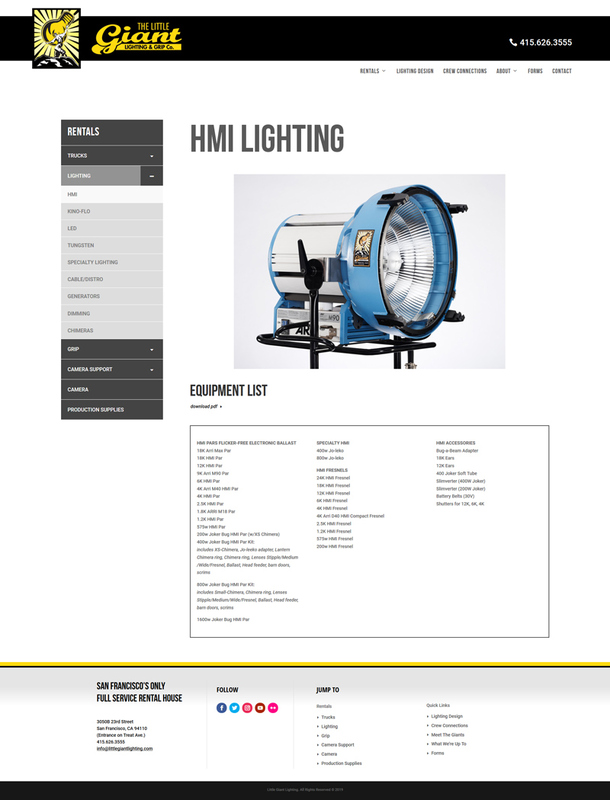 Retaining Little Giant Lighting’s bold brand identity, I redesigned the header and footer for a clean fresh look. 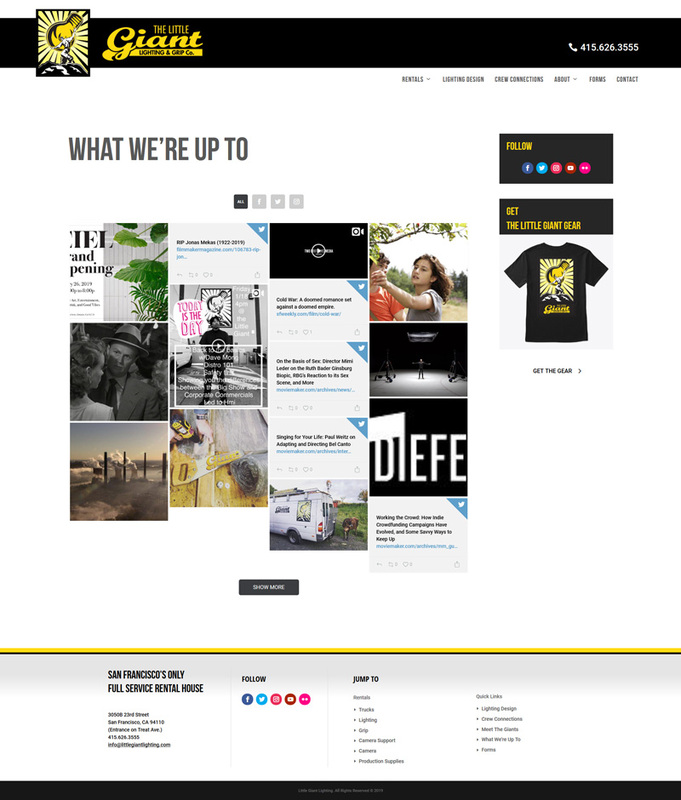 I also rebuilt the main and side navigation for ease-of use. My favorite touch was a cool social media mosaic wall to pull in from all of their feeds. The entire site was modified to look perfect on cell phones.